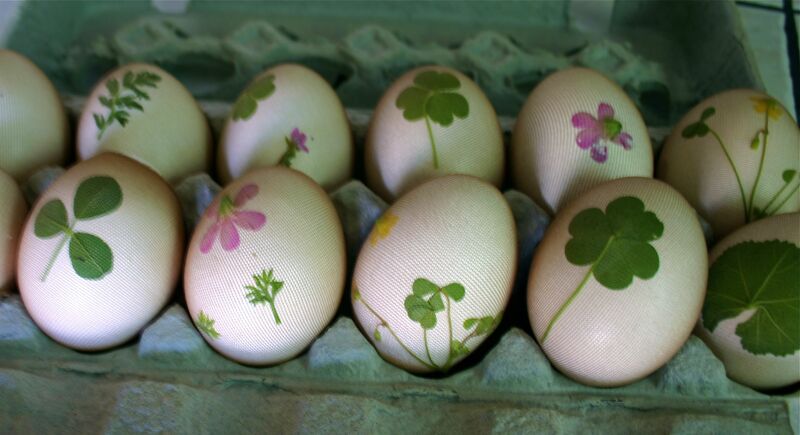 I found a way to make beautiful, naturally-dyed eggs. Take some small cuttings from around your home- I found lots of clover and little blooms near mine. 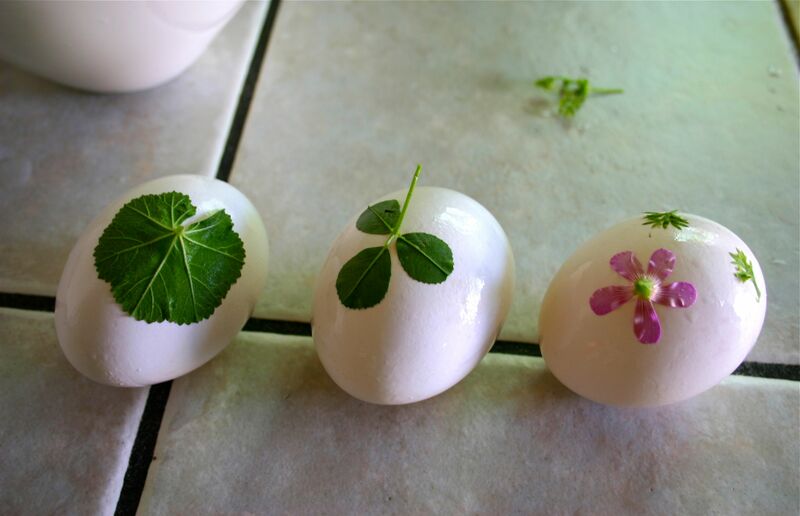 Make sure to use small plants that will flatten easily onto the eggs. 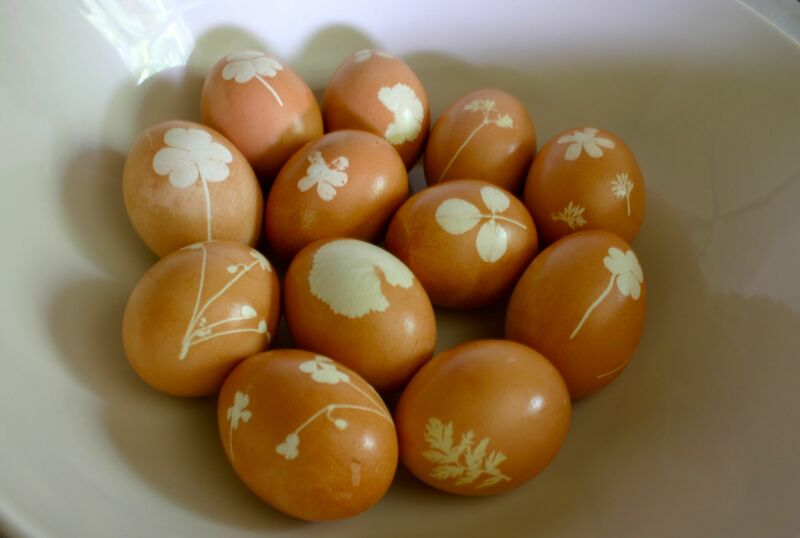 I dampened my eggs so that the leaves would stick nicely. 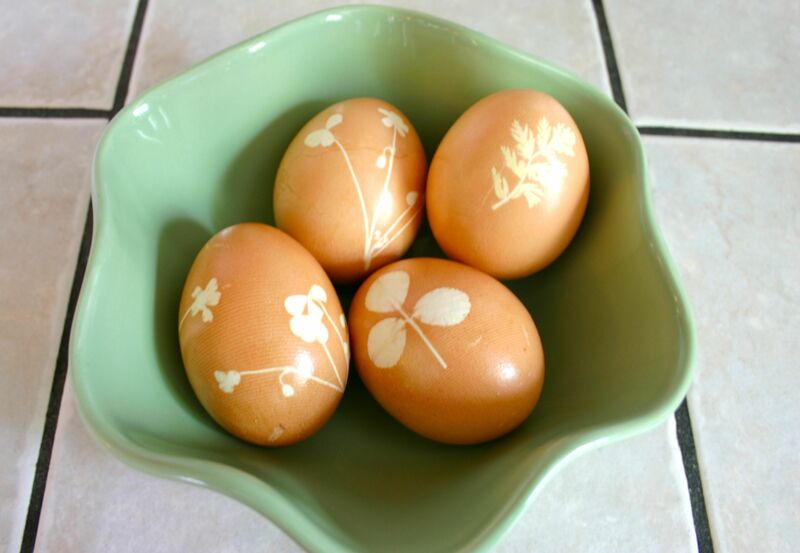 Use raw eggs, as they will cook and dye at the same time. Cut a small square of pantyhose and stretch around your egg, wrapping the excess fabric with a rubber band. Cover the bottom of a stock pot with the outer peel of a few yellow onions. Carefully lay your eggs on top and cover with another layer of onion peel. Add enough cold water to cover the top of your eggs, add a few tablespoons of vinegar and a few shakes of paprika. Heat until just barely boiling- you don’t want your eggs moving around too much, and simmer for fifteen minutes. Remove from heat and let sit for another fifteen minutes. Rinse with cold water and carefully remove the wrappings. Share with someone you love and take time to notice the beauty that this time of year brings.